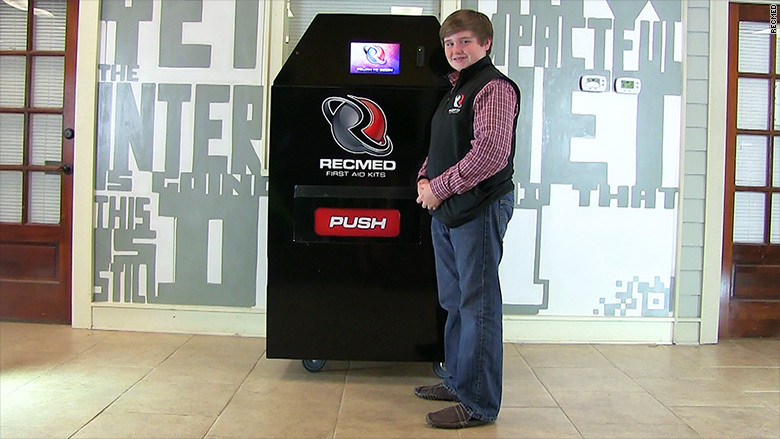 Taylor with his RecMed vending machine. Photo CNN Money. Proof that you’re never too young to think like an entrepreneur. Taylor Rosenthal is ready for the big leagues. CNN.com has reported that the 14-year-old has exhibited his very own start-up idea at TechCrunch in Brooklyn. The product? A vending machine that dispenses first aid products, which evolved from an 8th-grade school project. His inspiration came from his experience as a high school baseball player. Rosenthal’s launched RecMed in 2015 and has raised $100,000 in angel investments. He’s even rejected a $30 million offer to buy his idea.